Black Friday: is this tradition 'dying a death'? Black Friday: is this tradition ‘dying a death’? 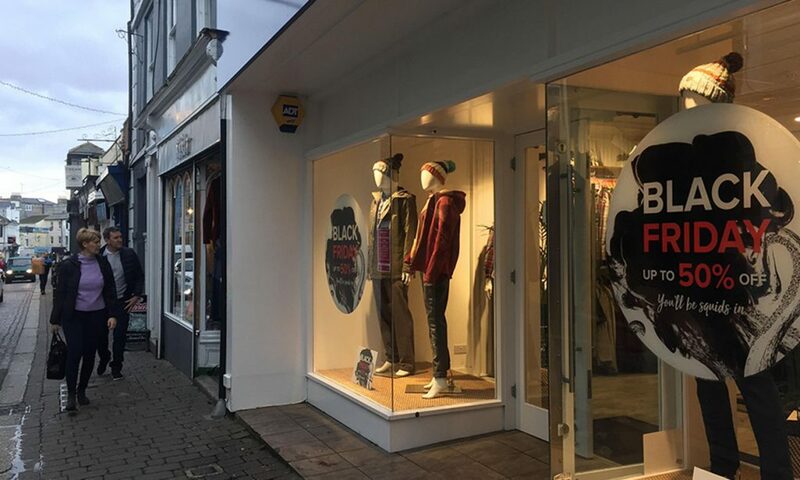 Walking past the shop fronts of Falmouth high street, adorned with garishly inviting promotional stickers, promising their biggest discounts ever, you’d be forgiven for thinking that Black Friday was making a big splash on this southern-Cornish town. The American tradition had seemingly flourished in the spirit of shoppers, with an elderly lady buying a turkey from an independent butchers welcomed with ‘happy thanksgiving’ greeting, whilst families shuffled into shops to escape a blustering wind, perusing abundant rails of products. As a self-proclaimed supporter of independent businesses, especially the shops she frequents locally, she felt that shops individual or chains alike, should abandon the idea of Black Friday in favour of promotions that suited their unique businesses and clientele. 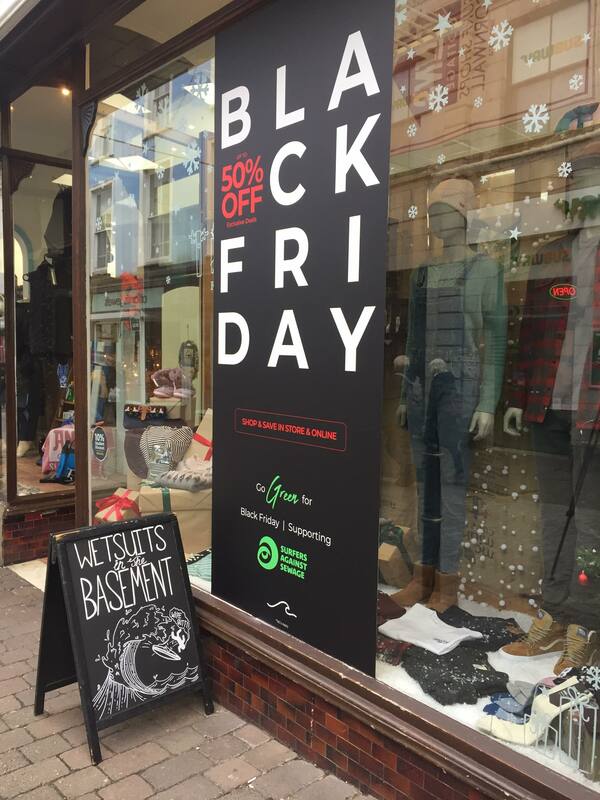 Choosing to endorse their promotions through an online newsletter and their website, they have discovered that regular shoppers were more inclined to visit more often when these deals were running, and expect a rise in trade on Black Friday itself, foreseeing a larger footfall in town, in general. Despite this, some UK chain fashion brands have distanced themselves completely from the Black Friday shopping promotions. In a campaign coined ‘thanks for giving’, playing on the sentiment of the American holiday thanksgiving, the retailer Fat Face, are abandoning large discounts to instead donate £100,000 to their Fat Face Foundation. The initiative supports charities such as the Nepal Appeal, which supports people in Bhaktapur devastated by an earthquake in April 2015. An employee in their Falmouth store, observed a mixed reaction from local customers, with some expressing their disdain in the lack of offers on the products, contrasting others who were grateful that a purchase they would have made regardless had the potential to make a positive impact. Last year, across the UK, Black Friday saw a new developing trend that altered the companies’ expectations of the shopping phenomena. For the first time since this American tradition had hit the British businesses, the high-street began to look barer, with many suggesting that people had become disinterested in the event. However, online retailers saw a boom in sales, with people spending £1.4 billion online in 2017 alone- so will this make a future in Black Friday viable?